Ilany Kogan is a training analyst at the Israel Psychoanalytic Society. She functioned as Clinical Supervisor at the Department of Children and Adolescents, Eppendorf University Hospital, Hamburg, Germany, and of candidates and members of MAP, Munich, Germany and Aachen, Germany, Supervisor of the Psychotherapy Centre for the Child and Adolescent, Bucharest, Romania, Teacher and supervisor at the IPA Psychoanalytic Group, Istanbul, Turkey. She has also worked as a supervisor in various places in Germany, especially in Munich and Aachen, where she continues to this day, and at the Generatia Centre in Bucharest, Romania, and the IPA Study Group, Istanbul, Turkey. For many years, she worked with Holocaust survivors' offspring, and published extensively on this topic. She was awarded the Elise M. Hayman Award for the study of the Holocaust and Genocide, and is the author of The Cry of Mute Children, Escape from Selfhood and The Struggle Against Mourning. She received the Sigourney Award, honouring achievements for the advancement of psychoanalysis in 2016. 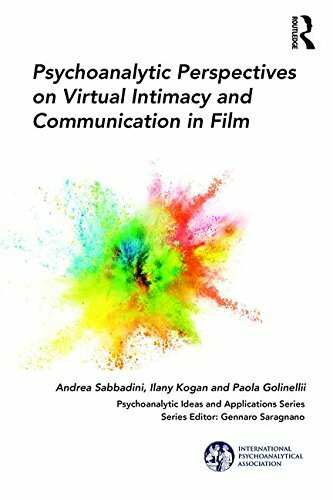 This book presents a detailed account of two analytic case studies examined through the particular viewpoint of creativity.